SAVE ON INK & TONER! Click here for all Office Supplies categories. Click here for all Furniture categories. Click here for all Technology categories. Rectangle Slogans - 14.5" x 2.75"
Everyone uses Office Supplies, and most everyone is always searching for the cheapest office supplies to save money. When you trust ZumaOffice.com for all your office products needs, you can rest easy knowing that we’ve already shopped the competition so you don’t have to. Our prices are guaranteed to meet or beat all the Big Box stores, so save time and money shopping with Zuma. Need Office Supplies with free shipping and fast? Zuma’s nationwide network of warehouses offers 1 – 2 business day delivery for over 55,000 office supplies making sure we get you what you need fast. Our incredible logistics network ships most orders the very day it’s received, meaning your office supplies ship fast. Zuma ships office supplies free when you order just $75 or more, (large freight items excluded). Don’t waste time, money and gas driving to those huge corporate chains. Order office supplies online from Zuma and enjoy lightning fast and free delivery. Need Bulk Office Supplies and office products at wholesale prices? We offer bulk prices to provide the cheapest office supplies possible when you need large quantities. There is a yellow “Click for Quote” button on every product page, so when you need office supplies in bulk, simply click, enter the details for what you need, and we’ll get you a bulk price if available usually in less than two hours. Of course, you can always call our helpful customer service team at 877-473-4097 and we can help you find the right office products you need at bulk wholesale prices. Buy Office Supplies from Zuma and help make a difference! Let’s face it – buying office supplies can become a mundane chore. 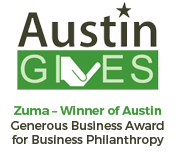 Zuma was founded with the purpose of using business to give back to the community and help others, so when you shop for office supplies online with Zuma, you know it’s helping us give back and making a difference in our world. How cool is that to take a routine task every office has to do, and turn it into a chance to feel good knowing you’re helping Zuma DO GOOD WORK, while saving time and money too. 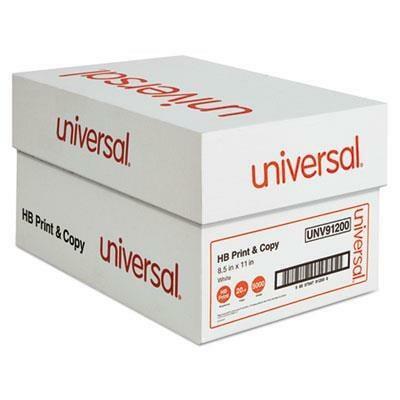 When you need great prices on view binders, hanging folders, recycled copy paper or everyday products like Post-It Notes®, Uni-Ball pens or Universal classification folders, Zuma is here with a huge selection of office supplies for small business, mid-size offices and even larger corporate accounts. Do good work with Zuma! Discounts & gifts with manufacture rebates. Great dealz. Check often save always. We meet or beat office superstore prices. See What People Are Saying About ZumaOffice.com! Copyright © 2019 ZumaOffice.com. All rights reserved. Bulk Prices on Office Supplies, Janitorial Supplies and Office Furniture at ZumaOffice.com. No Brainer Office Supplies – Guaranteed Low Prices, Fast Shipping, Personal Service and Half of Profits Go to Charity! Zuma is not responsible for typographical errors. Prices, policies, and availability are subject to change without notice.